It feels good for the first time in a long time now. 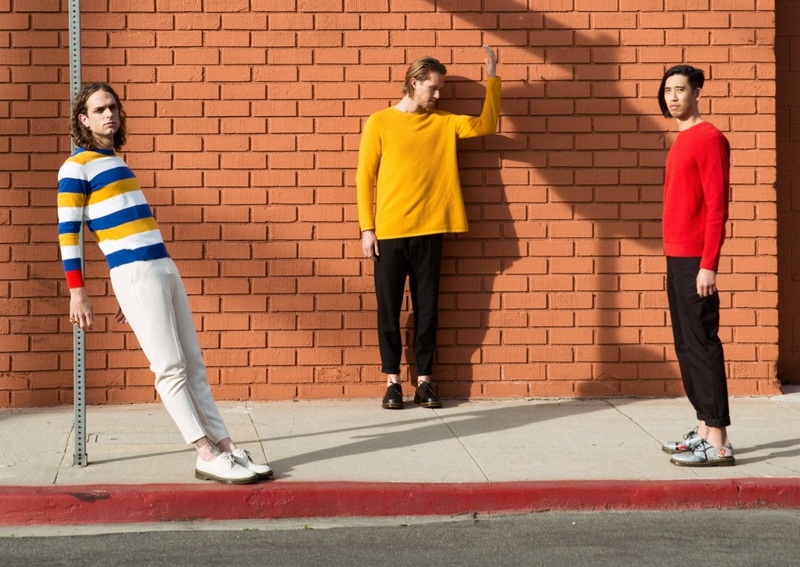 Few artists are as openly honest and introspective as Sir Sly: The Los Angeles trio of Landon Jacobs, Hayden Coplen, and Jason Suwito care deeply about the meaning and authenticity of their work, as well they should: Their breathtaking debut album You Haunt Me (September 2014 via Interscope Records) set the bar higher than most. 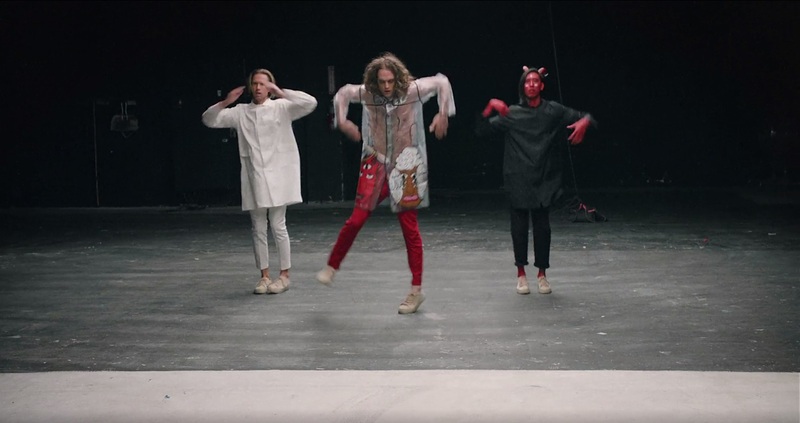 The band’s standalone 2016 single “Expectations” reassured us that they were very much hard at work, while providing insight into the torturous pressures of making album two: To improve upon You Haunt Me without remaking it; to be honest without forcing it; etc. “How did expectations get so high?” sang a vulnerable Landon Jacobs. “Now I have nowhere to run and hide.” This intense reflection on self-imposed stress was a reminder of both the sonic and human qualities that allow Sir Sly to consistently stand out from their contemporaries. “I’d rather write about my insecurities about changing belief systems, or feeling isolated in a world that I’m struggling to understand,” mused Jacobs in mid-2015. Sir Sly have finally returned two years later, and it’s amazing to see how far they’ve pushed themselves. I’ve been wondering, just what would peace be like? Consider our expectations met. 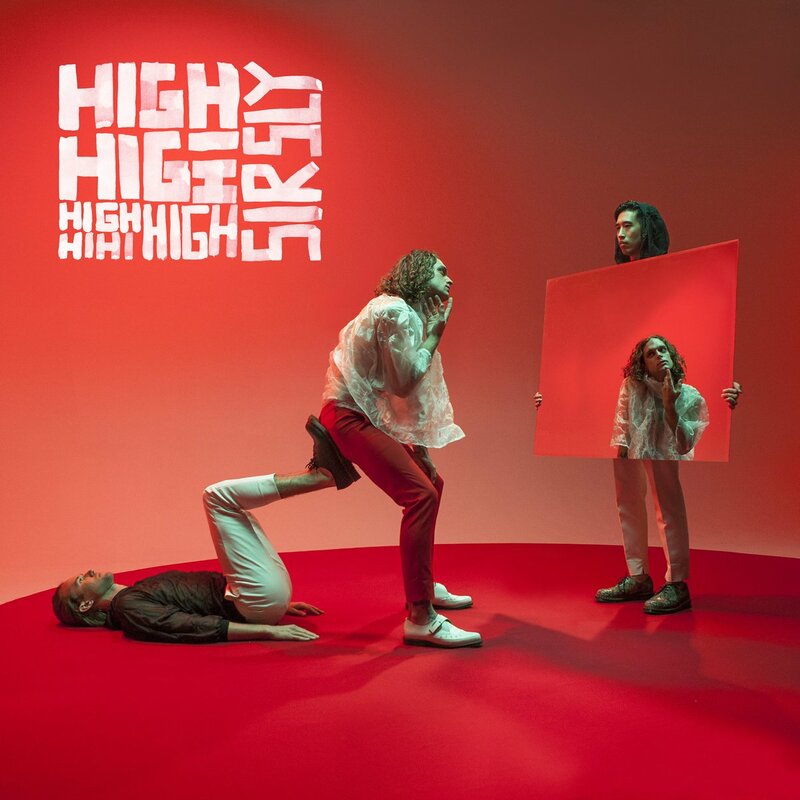 Released today (3/24/2017) via Interscope Records, Sir Sly’s “High” is an electrifying narrative of self-worth, purpose and meaning that highlights the band’s ability to evoke raw emotions with surreal passion. The trio maintain their rich, colorfully dark sound while laying life on the table, exercising a degree of honesty few of us dare take – not even with ourselves. On the surface, we hear a tale of drug use and what seems like a struggle through withdrawal. 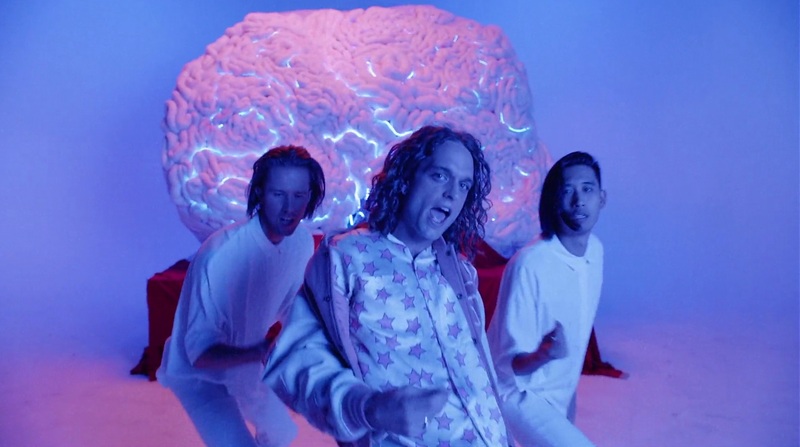 This would not be the first time Sir Sly have explored the ramifications of addiction or abuse: Their radio single “You Haunt Me” dealt with alcoholism in both Jacobs and Coplen’s families, but the band masked some of that by using the veil of a relationship to disguise the lyrics’ full meaning. April 20, 2014: It’s a day off on tour with The 1975. We’re colonizing a beige, Spartan room at the Courtyard Marriott in Oakland. Landon, our front man, steps out for a smoke. Shortly thereafter, he becomes one with the universe. Additionally, my man sprawls out on the bathroom tile, smiling, scared, and stoned, naming off a list of people to whom he must give this newly discovered, all-encompassing, cosmic love. Make no mistake: This is a pleasant memory. The best music should make us think, however, and certainly “High” invites us to make up our own minds on the situation. Maybe this is a song about drugs; as good as the peak may feel, after the high there comes the low. Or maybe this a song about fulfillment, and feeling satisfied in who you are. Further still, maybe it’s just a song about feeling good – of enjoying life in the moment. The magic of Sir Sly is that is could be any one of these, or more. Perhaps “High” will take on further meanings as it grows on us. What does that mean – running from the devil? The lyricism can literally be interpreted as embracing or resisting drugs. Struggling to stay clean – going through withdrawal and resisting the temptation – is one of the hardest tests a body and mind can undergo. Within “High” we feel the lengthy push and pull between drugs and sobriety, of savoring a familiar and easy high and finding that elusive, drug-free high on one’s own. But that’s not the point, and surely the band must feel some satisfaction in their use of subtleties: The ambiguity allows us to choose our own adventure. Whatever our devils may be, however we may run from them, we feel Sir Sly embracing the flight. When you’re a victim of internal conflict, there is no light at the end of the tunnel. You’re in your own head – your own torture chamber. The same goes for “High,” where the only reprieve comes in a brief glimpse of hope at the end of the chorus: It feels good for the first time in a long time now. Those words feel all the more potent considering the context. 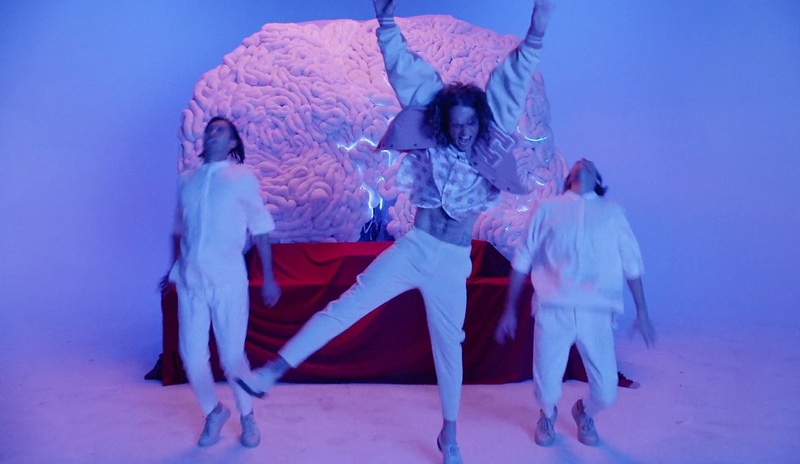 Sir Sly’s “High” music video, published 4/19/2017 and directed by Kevin Clark, finds the trio full of energy, experimenting with a little face morphing and other funky visual effects while diving headfirst into the full potential of cinematography: Who ever thought Sir Sly would have a choreographed dance scene? Moreover, who would have expected Sir Sly’s dancing to be so impressive and fun to watch? The band’s willingness to break out of their comfort zone and try new things is a testament to their desire and determination to grow, a trait that speaks not only to their musical acumen, but also to themselves as individuals. We all have devils to run from, anchors that weigh us down and keep us from reaching our full potential. “High” is a release of those shackles, a momentary dance with euphoria that compels us to spread our own wings and fly. It’s high time we heard from Sir Sly, and this return was well worth the wait. “High” is electric, offering an evolved sound and an enhancement of the dark depth we’ve come to expect from the California trio. It feels fresh and invigorating, and isn’t that what exactly what we should want in a ‘comeback’? Welcome home, Sir Sly.